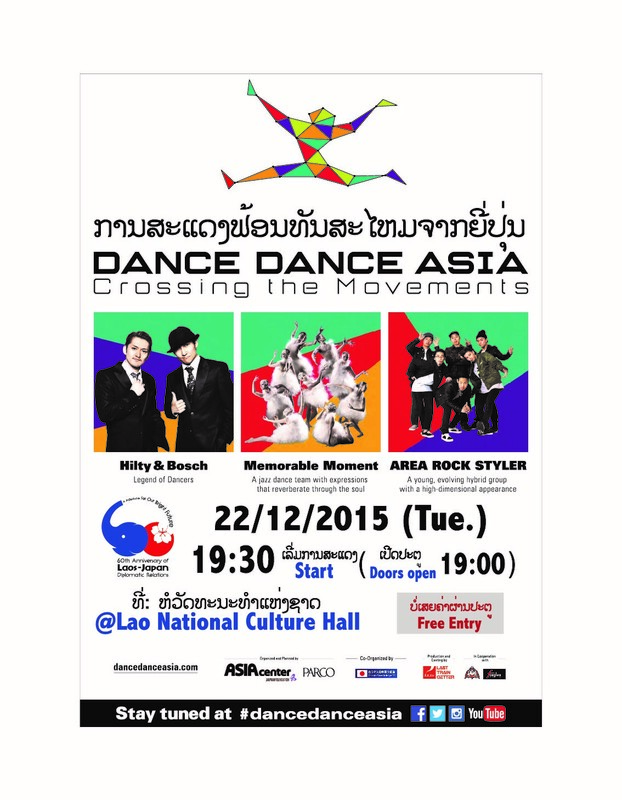 “DANCE DANCE ASIA -Crossing the Movements” was created by The Japan Foundation Asia Center and PARCO Co., LTD. This project aims to promote exchange and collaboration among street dance groups, including hip-hop and a variety of other genres such as Jazz and contemporary dance groups in the ASEAN region. 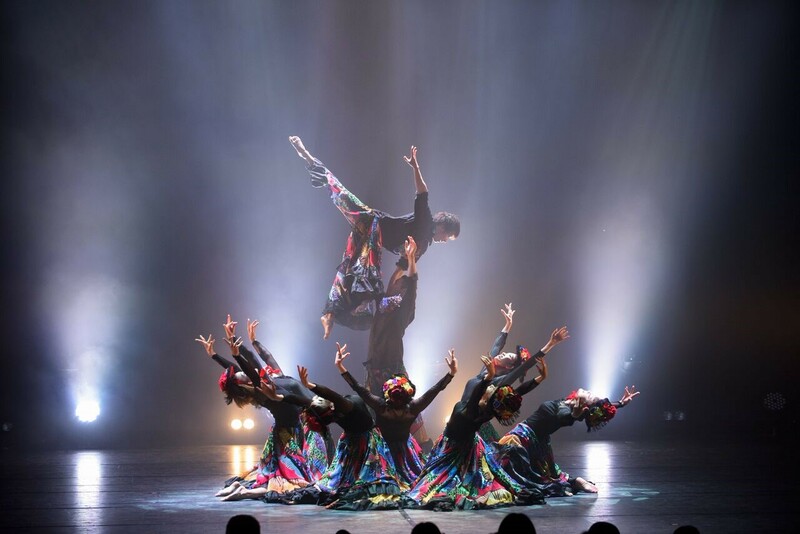 Showing a variety of genres from hip-hop, jazz to contemporary dance by three impressive dance groups from Japan. The performers, “Hilty & Bosch,” “Memorable Moment,” and “Area Rock Styler,” are all champions and influential dancers who have won top prizes in dance battles and competitions in Japan, Asia and across the world. Prior to the official performance, On Sunday 20th a dance workshop was organized to give dance lessons and allow participants to closely learn and dance along together with their interesting dance groups at the National Cultural Hall Room. The workshop received many participants from all level of interest, from small children to adult who were both beginners and professional dancers. The workshop and official show were free of charge. 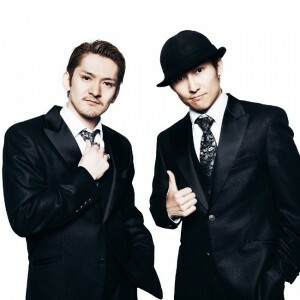 Hilty & Bosch is a duo Japanese locking dance unit that is now recognized by many to be the master of locking. Their YouTube videos have received over 20 million hits. The group becomes a phenomenon after winning the world’s largest street dance contest-JAPAN DANCE DELIGHT- for being the youngest and smallest dance group ever in history. Appeared in 5 continents, over 30 countries, and 150 major cities in shows, musicals, workshops, TV programs, Hilty and Bosch have been actively taking part in wide array of entertainment business. Dancing is about conveying message. As a “messageful” jazz dance team, Memorable Moment communicates and offer the world memorable moments through their movements formed by highly flexible bodies, filled with distinct perspective and creativity. 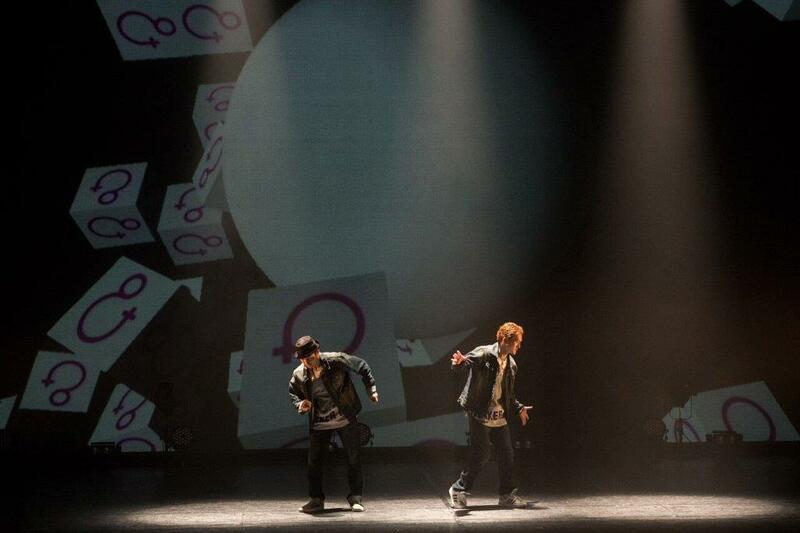 Led by KAORI, a top choreographer in Japan, the team has received many domestic and international awards. Memorable Moment continues to move audience around the world with their works that are dynamic, yet, exquisite. Formed by dynamic, talented young men with high-dimensional appearance: YOSHIKI, RYUICHI, TAICHI, ITTON, GENTA, and HIDEMARU, who share passion in dancing. A well-mixed of three dancing styles: Hip-hop, popping and breaking would bring audiences a feeling of another new possibility for street dance.